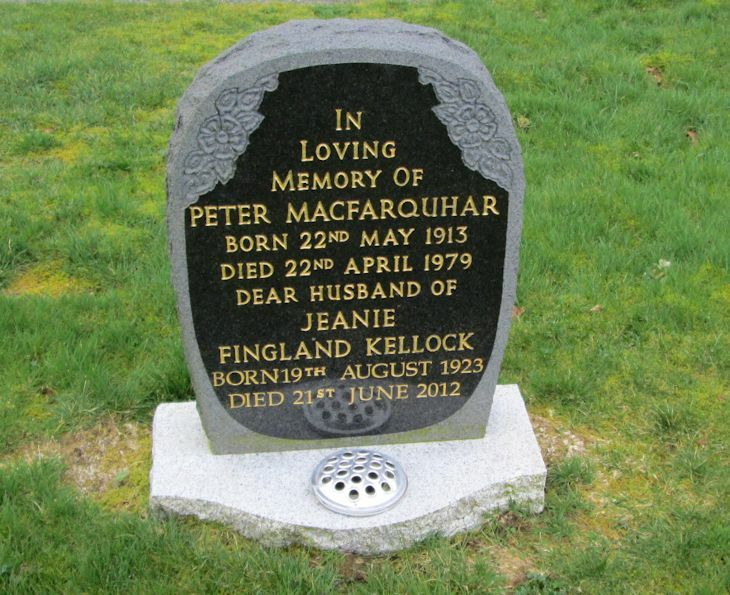 Skye Gravestones | Peter & Jeannie (Kellock) MacFarquhar. Peter & Jeannie (Kellock) MacFarquhar. In/loving/memory of/PETER MacFARQUHAR/born 22nd May 1913/died 22nd April 1979/dear husband of/JEANNIE/FINGLAND/KELLOCK/died 21st June 2012. Picture Added on 27 May 2014.